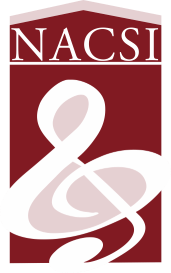 NACSI Calendar – New Arts Cultural Society, Inc.
New Arts Cultural Society, Inc. Thanks to all who participated in and attended our 29ᵗʰ Bobby Wiggins Festival of Spirituals! Those of you living in or near Shreveport may be interested in attending a New Dimensions Choral Society Rehearsal. These are held almost every Monday night, and we’d love to have you visit! But not this Monday, February 25. We put a lot of work into the Festival, and frankly, we need a rest, so there is no rehearsal on that Monday. Please join us for our next regularly scheduled rehearsal on Monday, March 4, at 6 ㏘ at 4714 Monkhouse Drive (New Arts Cultural Society building). Once Daylight Saving Time begins the following Monday, subsequent rehearsals will start at 7 ㏘ until the end of our season in May. Copyright © 2019 New Arts Cultural Society, Inc.